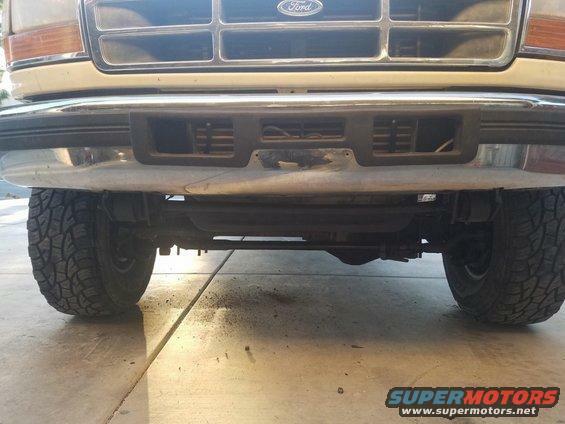 Thought I would share my progress, not a Bronco but it is my 96 OBS F250 7.3. Its my tow rig and I carry a 10ft camper so I want to keep it low. I love this truck, I picked it up for a song because it had a dead cylinder, turned out it had thrown 2 push rods, replaced them and it has run like a top for over a year now. Anyhow the only thing I didnt like was that it was 2wd, that gonna change very soon. 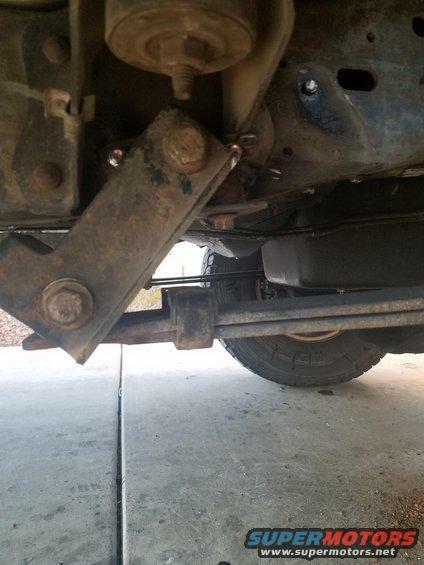 Picked up a set of 04 SD axles and springs last week and got to work. The idea is to use as much of the SD bracketry as possible, looks like the only thing I'll have to fab is the track bar and frame bracket. Everything I have been able to modify, or will modify. reptillikus, '89Bronco302 and dash_cam like this. Thanks for posting this. 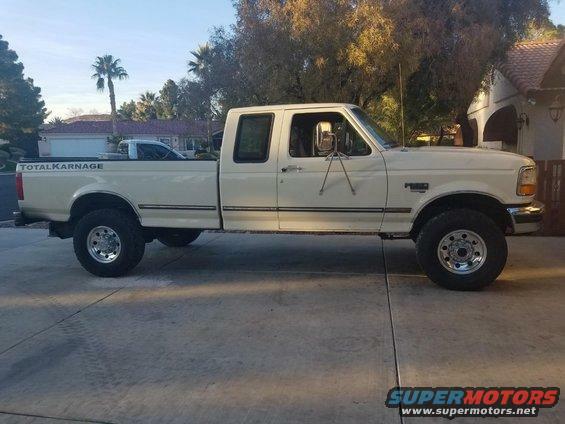 I have a D60 out of a 01 F350 that I'm considering using in either my Bronco or other OBS Ford. Any and all additional pictures would be helpful, especially of the rear shackles. 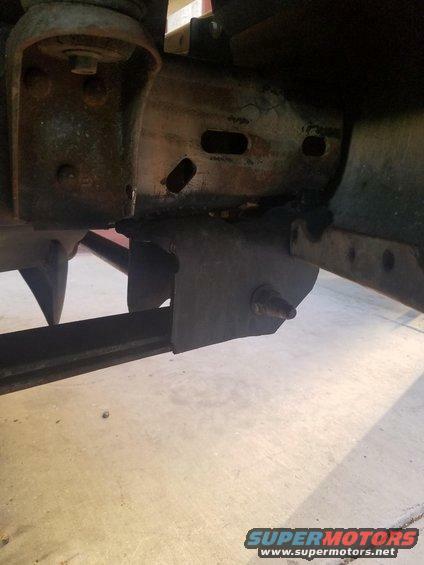 You're using stock/OE leaf springs correct? Will you be running a crossmember between the two front spring hangers? Yeah, I'm using all of the SD brackets and springs. I'll take some pics once it's done so you can see what I did. Yes, I'll be a bar between the front leaf hangers under my intercooler. Nice work. Btw, you are aware of the value of your old wheels and especially center caps, right? Yes, I love these wheels, I was hoping to find a BJ 60 I could use so I could keep them but no luck. Got a done of work done this weekend, only things left are front shocks, front sway bar, box the frame where I had to notch it and the track bar. reptillikus and '89Bronco302 like this. Last edited by raleigh; 02-25-2019 at 09:19 PM. It looks good like that, like it was built that way from the factory. Which leafs did you use in the front? While they look mostly identical, i thought only the Alcoas and not the Ford-manufactured wheels are worth $$$. Or are the Ford ones sought after now too? (i have a set of the ford ones.) I havent been following. A good centercap with functional spring will fetch 75 bucks here, each. NOS pieces over 100. The wheels are more common, but still valuable. The stockers on my 96 f350 were the Alcoa's. Didnt know there were two identical wheels made by two companies for the "OBS" 8 lug trucks. These are the SD springs, they ride much better than the OBS inverted springs from what I have heard. I've been driving it some today and it rides pretty nice, not much difference from the coil springs. A small amount of bump steer which I expected since I don't have the track bar yet. I have a set with 305s on them; the set i ran on the green bronco when i first got it on the road. Ford stamps instead of Alcoa. Im pretty sure its the same way with the 5 lug wheels; two manufacturers. Sorry, i meant which SD springs. I have the X codes in front of mine. Even with how stiff the X Codes are, they still ride better than the OBS springs. Raleigh, any additional close-up pictures of the brackets (front/rear) from different angles/sides that you could post pictures of? Any additional information would be greatly appreciated. Thanks again for posting this. Bump for additional pics and updates. 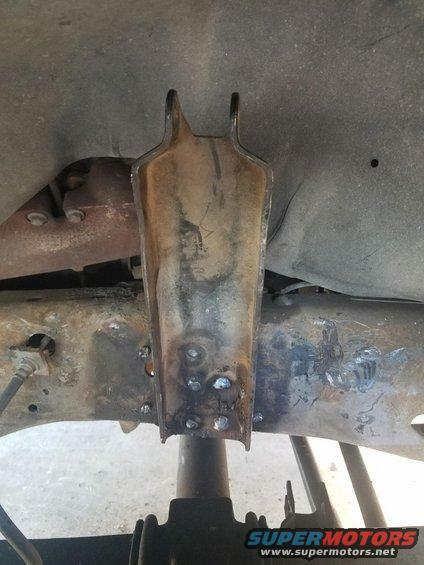 I picked up a set of Super Duty front leaf springs and brackets yesterday at the pick-n-pull. Just about have the parts I need to SAS my 95 F250. Any luck with those additional pics? Dave is full of surprises LOL.